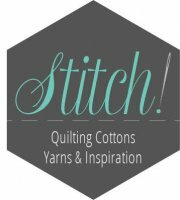 Welcome to our Stitch! classroom. We are now offering beginning sewing, quilting, knitting, & crocheting (see calendar for details). There has been much interest in a Home Ec 101 sewing class Becky & I will teach to include elastic, zippers, buttonholes, & other basics for your sewing skill set. We are also working on a beginning hand applique’ class (with a little help from our California girls) & this fall we hope to have an award winning quilter from Montana…class title to be determined but promises to be fabulous. We have a wonderful large space with 3 8’ tables, & 6 Bernina 330 sewing machines for our students to use. The 330’s are on loan from Sew E-Z Too in Spokane & we feel privileged to be working with them. We will provide patchwork feet for our students to ensure an accurate ¼” seam which is vital to your patchwork piecing success. We are also lucky enough to have a 16’ x 6’ flannel design wall for maximum creativity & visual gratification. We have coffee, tea, a microwave, 2 ironing boards w/irons, etc. For all of you yarn lovers, we have a stellar variety of yarn…all types…all colors for your knitting & crocheting pleasure. The most important thing we offer in this space is creativity, inspiration, & positive vibes no matter your skill level. We hope you will join us for some stitching, caffeine, & lots of laughter. If you have an idea for a class feel free to email me at stitchquiltshop@gmail.com. Blessings from Geri & the Stitch! crew. 1. Classes fill up early - Sign up online or by phone (509)990-7670. We know life happens - If you have to cancel, please do so 48 hours in advance. You will be issued an in-store credit for another class of the same value or merchandise. 2. Please - no babies, children, extra people, or cell phone conversations during class. This allows for a pleasant learning environment & a respectful atmosphere for both students & teachers. 3. Most classes will be limited to 6 students. This gives you plenty of room to work & more individual attention from your teacher. 4. We have 6 brand new Bernina Sewing machines for classroom use. Never used a Bernina? No worries-we will assist in bonding with these amazing “power tools”. Please feel free to bring your own machine if you prefer. 5. We are SEW excited to start the teaching process & will strive to embrace makers of all skill levels. Positive Vibes Only is our motto here in the Stitch! classroom. Handout included-students will need to purchase acrylic template set. Using quarter-square triangle (QST) paper, we will cover the construction of making an Ohio Star block in 12" or 6". Join us for the evening & make a block or two for your star quilt. Want to learn the basics of quilting? Geri & Becky will guide you through this 4 part class. You will learn about fabric selection, tools, safe rotary cutting methods, piecing by hand & machine, accurate seam allowance, quilting by hand & machine, & binding. Use our classroom Berninas. A fabric kit is included with the class-just tell us your 2 favorite colors. Students will need to purchase batting & backing. More details on the class handout. ***Please note that the first class will last 3 hours (6-9pm) as we have much to discuss:).